Altcoins are in beast mode ! Is this the beginning of Bull Run ? Hope all you will be happy to see the market from past few days, especially the alt coins holders. In all our previous articles we asked you to hold the top coins and you can see the massive pumps in them in no time.Last week everyone was worried that is this the end of crypto and all but we suggested you to have patience and get your favourite alt coins along with whales at throwaway prices. You can see many of the top altcoins or we can say almost 90% of the coins on Binance are almost 20% up.Some coins have seen insane growth too like Ontology almost 150% gain, VET , NPXS, NAS, PPT, QKC etc all have given massive gains in very short time.This is the power of trading and knowledge of identifying best projects.The best projects are best no matter how much they fall once, they will also recover faster. If you still waiting for more profits it is not good, don't be greedy.Most of the coins have given 20-100% profits in 2-3 days in this bearish market which is more than good.So we highly suggest you to book your profits now or take away your seed money out and play with profits. Bitcoin is still holding the 6300-6600$ level from too long, it is stable thats why alts are growing.It needs to surpass the 6800$ resistance with great volume for 7000$+ levels in the future.It can even dump from here too, 5900-6100% is a crucial support zone too.Don't get too excited, trade safely. 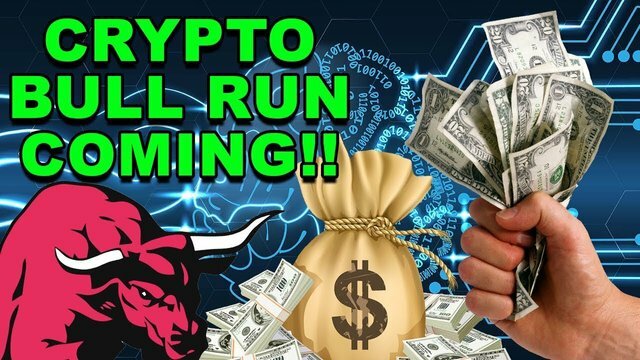 So finally the super run in the market made an end to all the questions about crypto future.The negativity and Fuds in the market are just created to make panic selling so that whales can buy coins in least prices.Market is also very manipulative due to future trading.Take out profits wherever possible and enjoy. Don't forget to share your opinions in the comment section below. Crypto currency is really very unpredictable. Investment even after keen observation and study can lead to loss. yeah, Sumit sir.. you always make a positive vibes towards us. what do you think that when altcoins will break their next ATH ??? I'm also vary happy i hope market goes higher and higher. Buy the DIP and make profit on the rise. I think is not good time for bull run. Wait for any good news Cripto market . Are you agree with me sumit sir??? Anyone who holds large amounts of altcoin is financially motivated to see altcoin succeed. That’s part of the beauty of the system. @moneyguruu Very clearly Explained Sir. I am eagerly waiting for Big BULL Run. let's see when it will come ? Sensible traders are making hell money ! Why is your steemit earning is so low now? To take profits in the next Bull run, this is the right time to invest in crypto. So is it safe to invest in alt coins ? @moneyguruu What about coins like Covesting . Can you say something about it ? Are you sure that now it’s on beast mode ?? Sir being frank I am quiet new to the field of crypto currencies.If you could give me some tips on how to choose the right coins and investing smartly,that would be very helpful. Hey, @moneyguruu I really appreciate your predict on cryptocurrency but I have a doubt that this bull run take the altcoin price all-time high or it will take some time. Thanks for the highly informative writing. nice work sirji. this post make aware to all cryptolover about ups and down in the market.